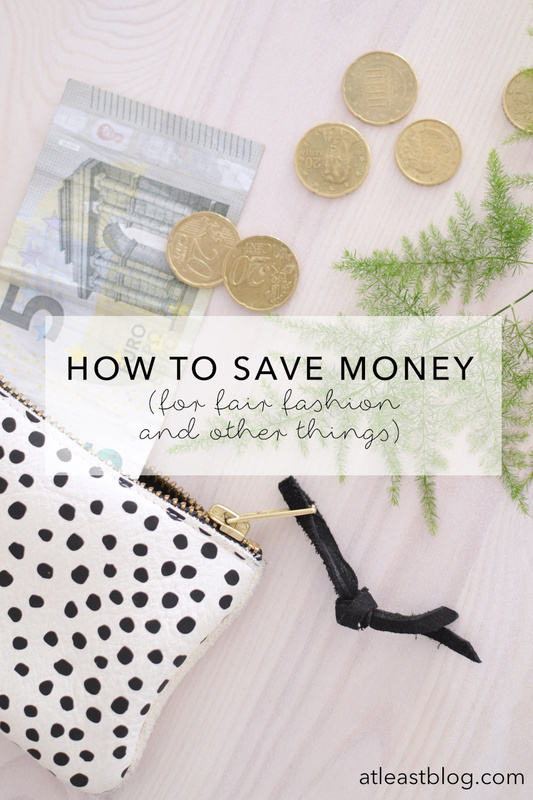 “Sorry, but this is just too expensive for me” is what I regularly hear when I talk about fair fashion with others. I’ll just let this stand for itself and explain instead why I can afford fair fashion. Spoiler: It’s not because I’m rich. 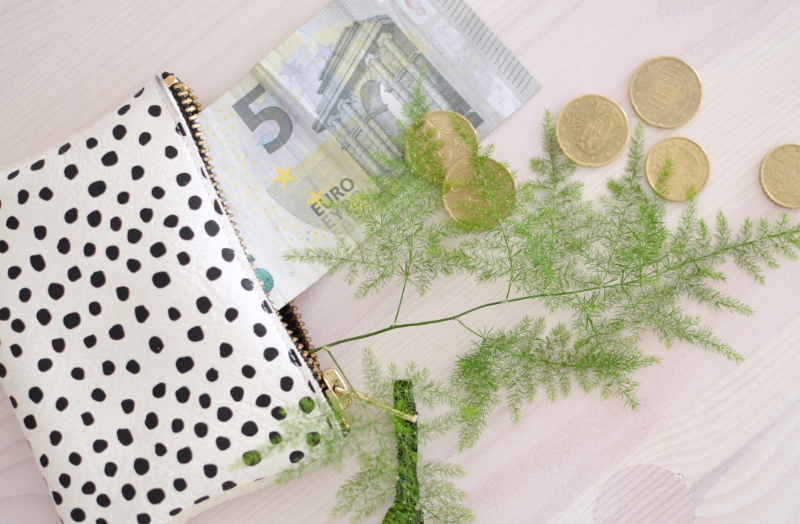 To begin with, I’m not – against all expectations 😉 – making loads of money with blogging. In fact, a pretty normal part time job is paying my bills. I earned considerably more money some time ago until it became clear to me that I value time over money. *** That said, I don’t have a huge income, I actually make less than most of the people I know. Nevertheless I can afford fair fashion – mostly because I choose to. It has taken me some time and adjustments but it hasn’t been a huge problem. It just takes some more preparation. 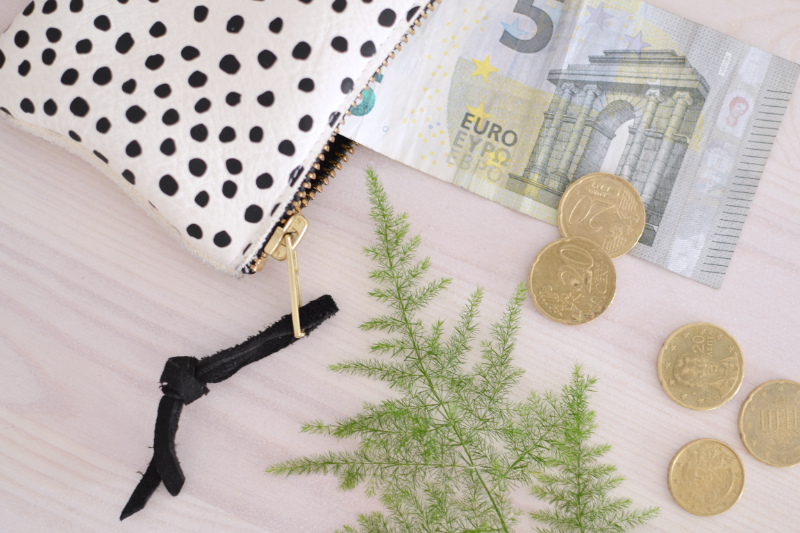 Today I want to share with you how I save money to spend on ethical fashion (and of course on other things ;)). The randoms are costs that can’t be really planned ahead. To stay spontaneous I plan in a certain sum that I use to go to restaurants, buy snacks or cosmetics and get things repaired (to be clear: this is not the money I spend on grocery shopping). As I used to pay everything with my EC-card before, it was pretty easy to calculate this sum. For me it’s around 200 Euro per month – depending on your lifestyle it might be more or less. As a reference: I don’t go clubbing, I don’t smoke and I’m a rather thrifty person. In order have full control over the random purchases, I always have this money with me in cash. Cash is good. I can see at one glance how much money I’ve spent if I look into my wallet. It works best to allocate yourself a certain sum each week for randoms and to get it off your bank account at the same day every week. Until about a year ago, we wanted to have a bigger apartment. 53 squaremeters seemed to be not enough for two people – until we found out that the apartment is not too small for us but for all of our stuff. After several decluttering sessions, the apartment actually has a comfortable size and we have even considered moving into a smaller one. I could imagine living in a tiny house at some point too 😉 Rent is probably the highest monthly cost for most of us – so you should consider if all the money is really worth what you’re getting. The second most expensive thing is grocery shopping. Luckily we both love to cook and if we go out to eat we mostly keep the costs at a lower price point. We also save lots of money as we’re both vegetarians. We only have a small fridge but in general there’s not too much in it as we go grocery shopping several times per week (I understand that this might be not manageable if you’re living in a village) and almost never throw away any food. I also always take food with me to work. That gym membership, the magazine you get every month but actually don’t read or even a car that you don’t drive? Those things cost lots of money – maybe you can get rid of something? I’ve become a huge fan of wish lists! 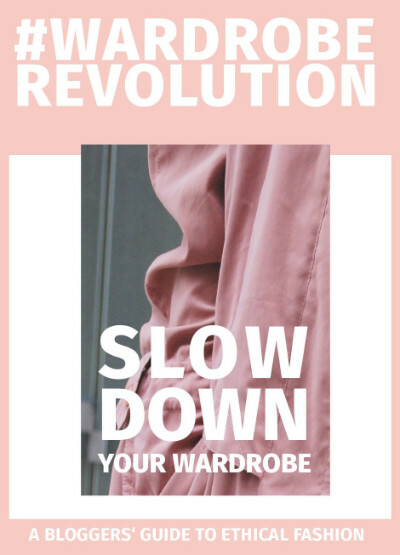 As you might have noticed, I love clothing and keep myself busy with this topic a lot. Still, there’s been lots of purchases that I wasn’t super happy about eventually. 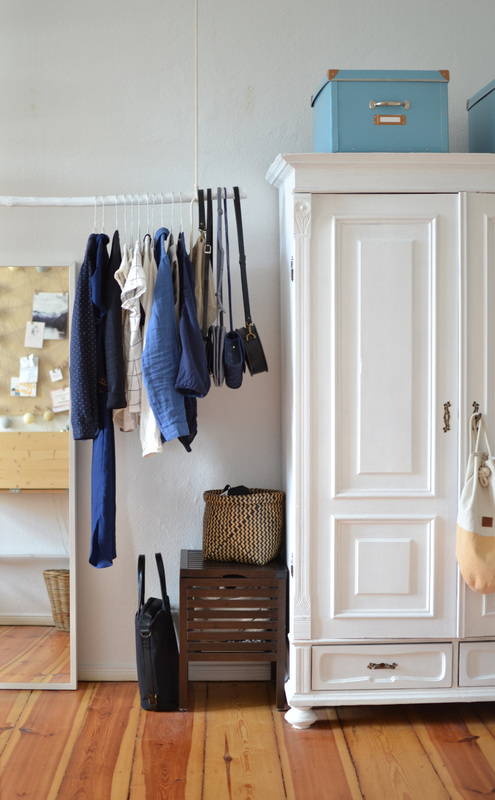 Until I read The Curated Closet last autumn and actively thought about my closet. I can only recommend doing this to every fashion lover as it will really change your take on shopping and stops you from impulse buying. At the beginning of each season I’m writing a little wish list now (Lee has a great template for doing this) and directly calculate the costs for the things I want to buy. In general I can afford one piece per month. 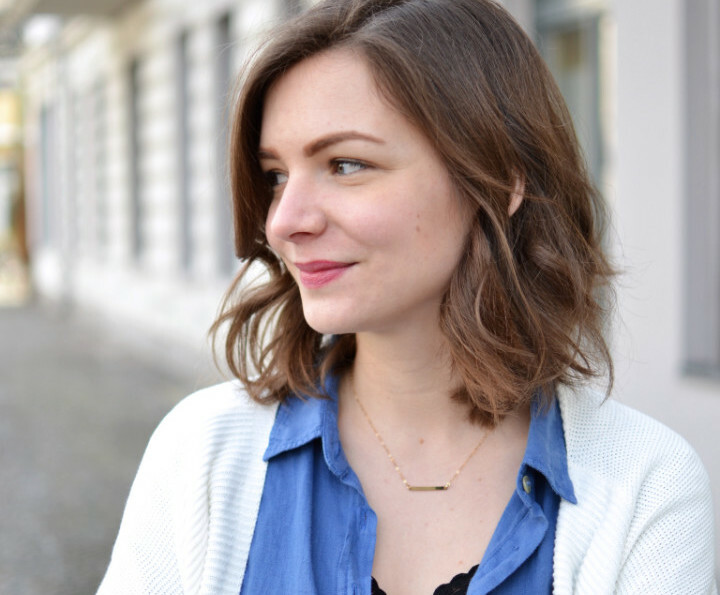 There are not only specific pieces on my list but also general things that my closet lacks (right now it’s for example summer tops). By the way: I’ll be sharing my personal summer wishlist with you next week! I hope you liked my tips and found them helpful for your own finances. Do you have other ideas? Let me know! ***I am aware that there’s people who don’t have it as good as I do, who have to feed families and work badly paid jobs. That isn’t fair and shouldn’t be the case. Nevertheless I’m hoping to be able to give some impulses with this article that everybody can choose to integrate into their lives or not.